There are thousands of apps for Windows phone users. 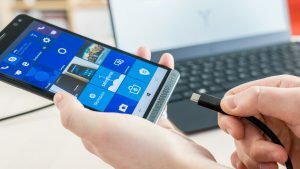 If you are looking for an app that is compatible with your windows smartphone; we have rounded some of the best options, and some reasons why you should have them. You need to have this productivity app on your Windows smartphone. This app is primarily used for planning, making lists, and collaborating. Unlike most planners, Wunderlist allows you to make detailed plans and set up reminders, and this will enable you to work and carry a slew of most actions in an organized fashion. If you are into photography and you need to add some effects to your photos, Fused is one of those apps you should have on your Windows smartphone. This app allows you to add some effects on your pictures or blend them into entirely different backgrounds and foregrounds. If you need to create a custom backroad, Fused has a lot to offer. Plex is a fantastic music management software, especially if you do not like what most pre-packaged music management app. This entertainment app can be described as some music management app that relies on a server to collate and manage your media files. Flipboard is a news gathering site. It tile-based design makes it a perfect addition for windows users. The good thing about this app is that it helps you build a personalized magazine from various news sources. This app makes it a lot easy for your users to curate your news sources. Dashlane is a popular windows password manager for Windows users. Thus, individuals with a variety of passwords can use this app to collect and secure them. Another key attraction to this app is its simple set-up process and the fact that it is optimized for Windows 10.